One day on Bleaker Island is the perfect amount of time to explore the island. 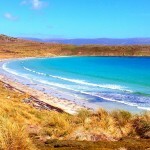 Bleaker Island is located in the southeastern part of the Falkland Islands just off the main island of East Falkland and about a 35-minute flight from Stanley, the capital. 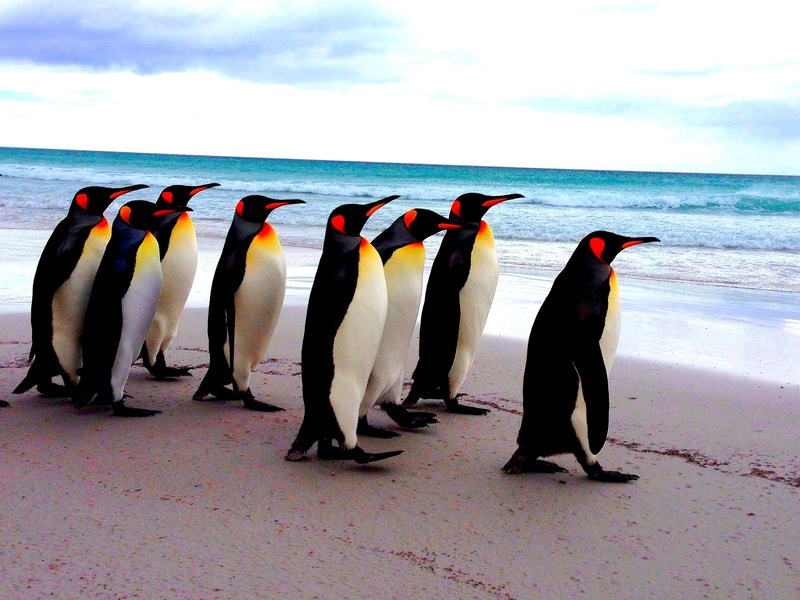 Bleaker Island offers a lot to see and do including some of the best places to see rock hopper and Gentoo penguins in the Falklands. Upon landing in the oddly placed airport on the very edge of Bleaker Island, you are greeted by your hosts and promptly given a great overview tour of the island. Elaine Short took me around the island and showed me the nuances of where the different type of penguins could be found and set the tone for my massive hike later in the day. 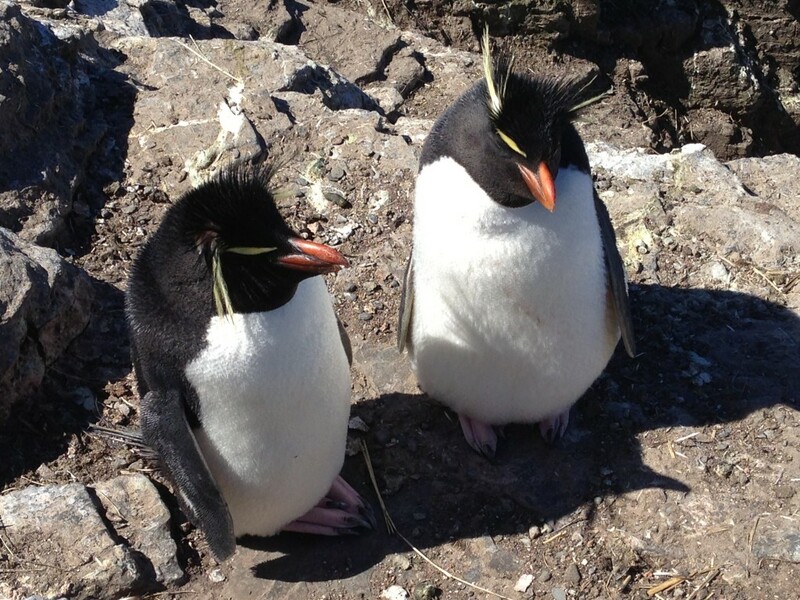 First stop was to see the delightful rock hopper penguins. 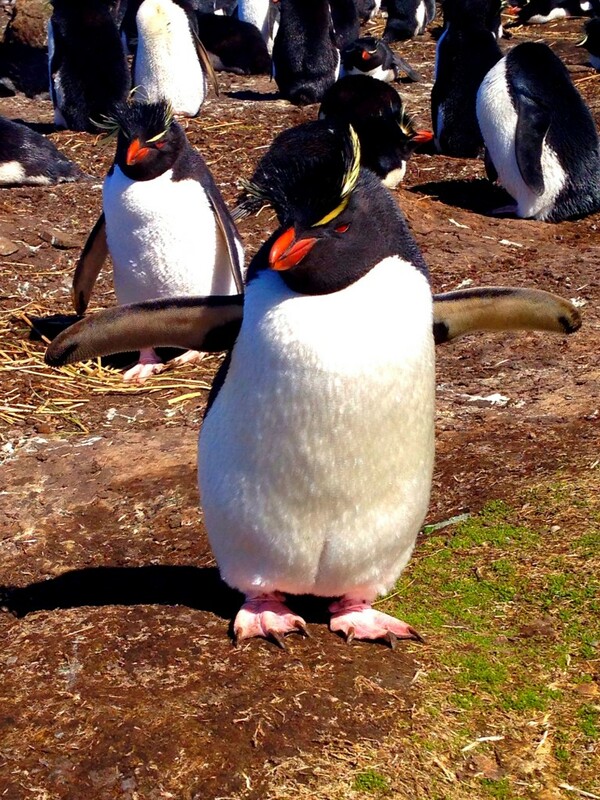 They are the cutest penguins I think I have seen in the Falklands. Their little heads and eyes along with their “bad hair day” make them very appealing. They are also very friendly and let you get right up next to them without running away. Unlike Gentoo or Magellanic penguins that run away until you kneel down, the rock hopper are hardly even bothered by your presence and just stay where they are. 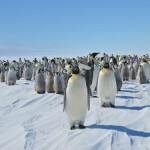 This makes for great photo opportunities and is a great way to observe penguins at such close range. The rock hoppers also hang out as it sounds on rocks and they literally hop around. It is adorable to watch them and the scenery around them makes photos even better. The beach on Bleaker Island is fabulous. It looks like a Caribbean beach. Although believe me, the temperature would disprove that comparison! 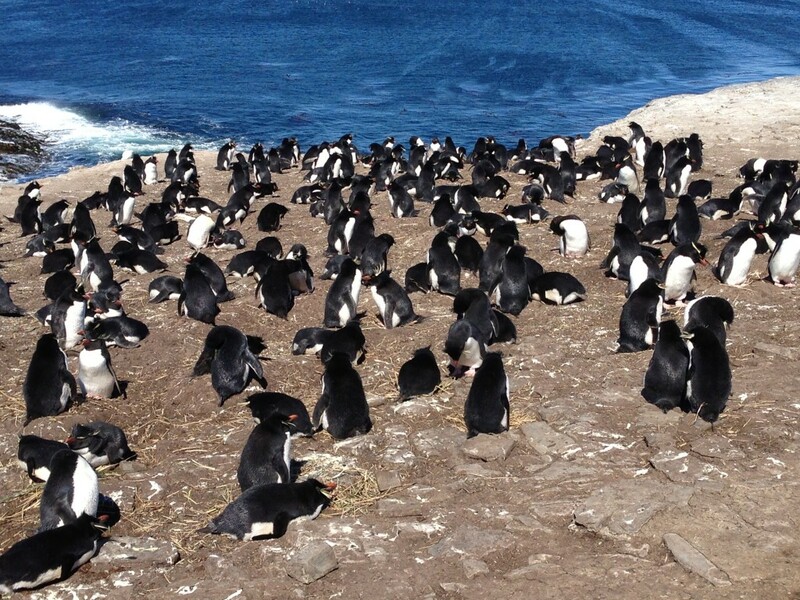 That said, the beach is a beautiful backdrop for a ton of Gentoo penguins and Magellanics to hang out. 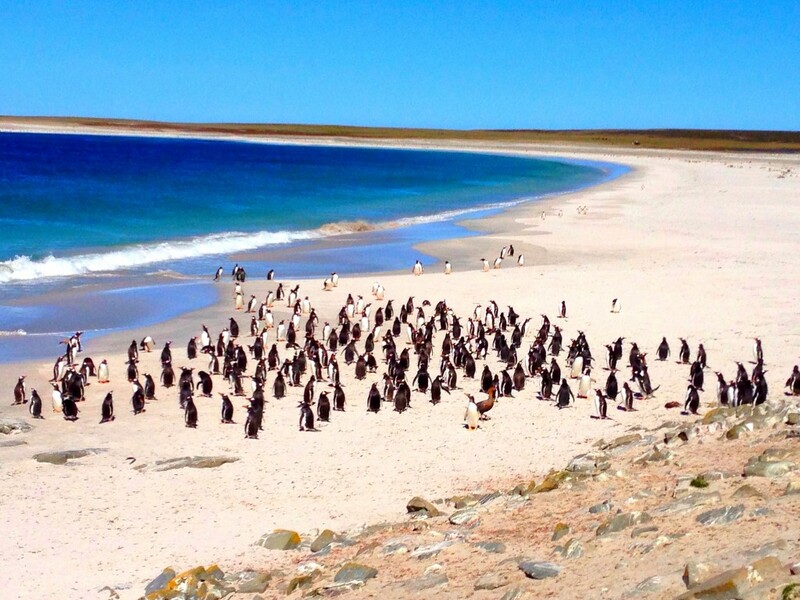 I was able to be on the beach with hundreds of gentoos and I loved every second of it. They are so photogenic and once they feel comfortable with you there, they come right up to you. When you’re around penguins, it’s cool to take selfies! 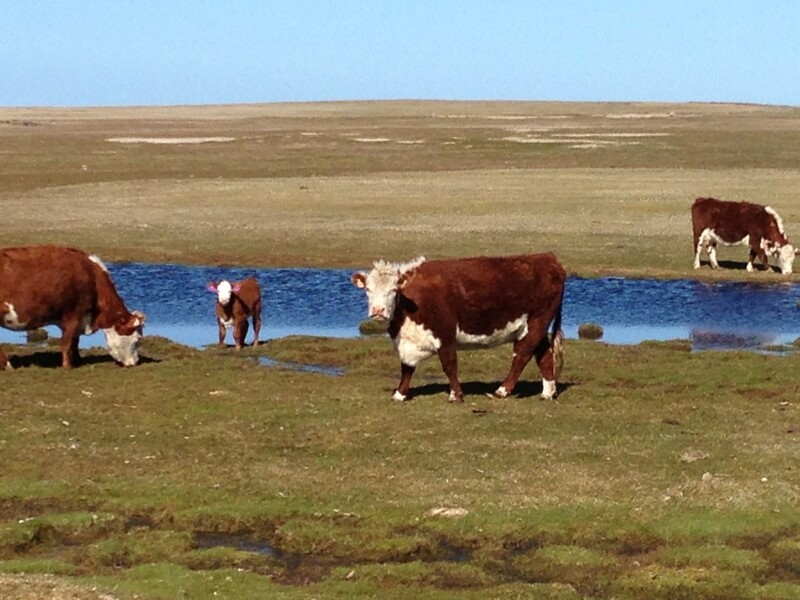 Bleaker Island is also a functioning farm and with that, there are many cattle and sheep. There are also a ton of geese and other bird life. But my other favorite thing about Bleaker Island is just walking along the coast. 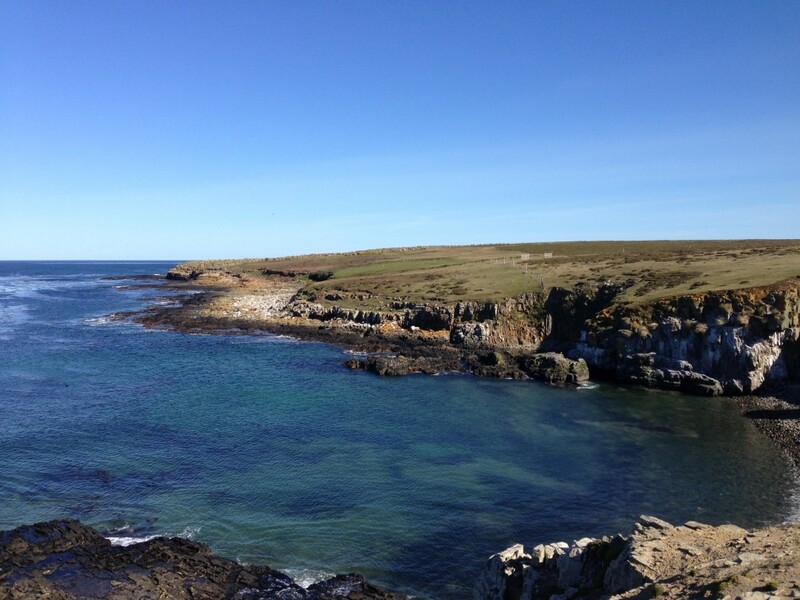 Bleaker Island has many jagged cliffs and some gorgeous views across land cut outs. They make for great pictures and good exploration. Bleaker is a good island to take a long walk, as it’s not mountainous like Carcass Island. It is difficult to get lost but easy to underestimate how far things are from each other. I easily walked 12 miles on Bleaker Island without even realizing it. 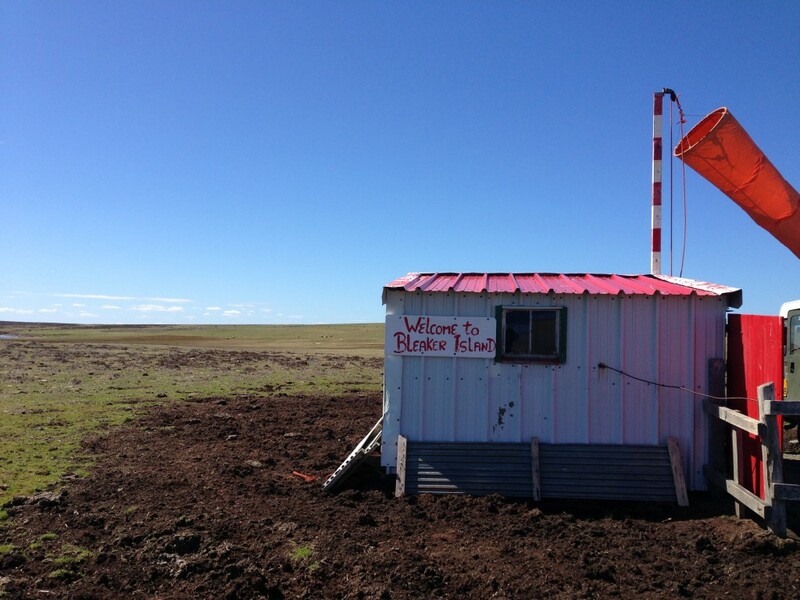 When you’re on Bleaker Island you will stay at the settlement guesthouse. It is lovely and the new house is wonderful. It has new everything and Elaine is a great cook. I thoroughly enjoyed each meal on Bleaker Island especially the lamb with vegetables we had for dinner. After a 12 miles walk, I couldn’t help but have a few plates…perhaps to the dismay of my fellow diners! 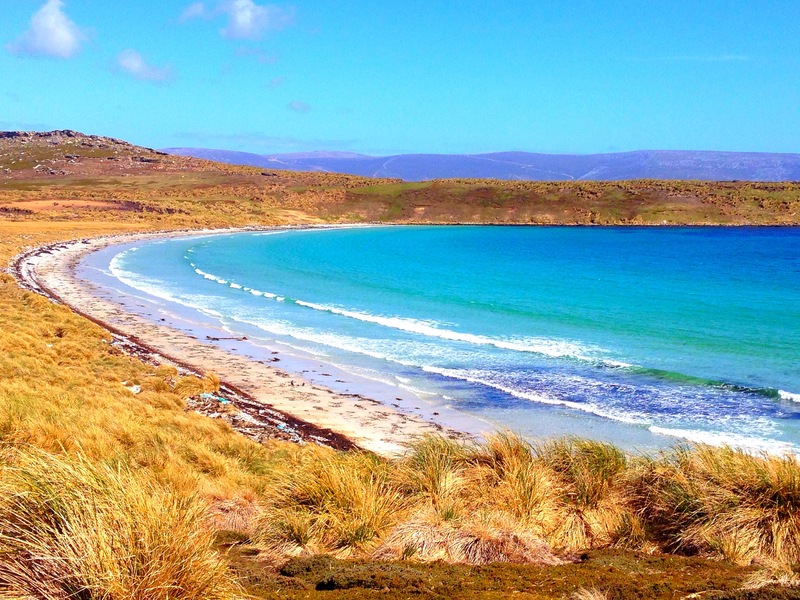 If you’re in the Falklands and want to experience the remoteness of an outer island, I would tell you to give Bleaker a try. It is also located right next to Sea Lion Island; which could make for a great combination of islands. 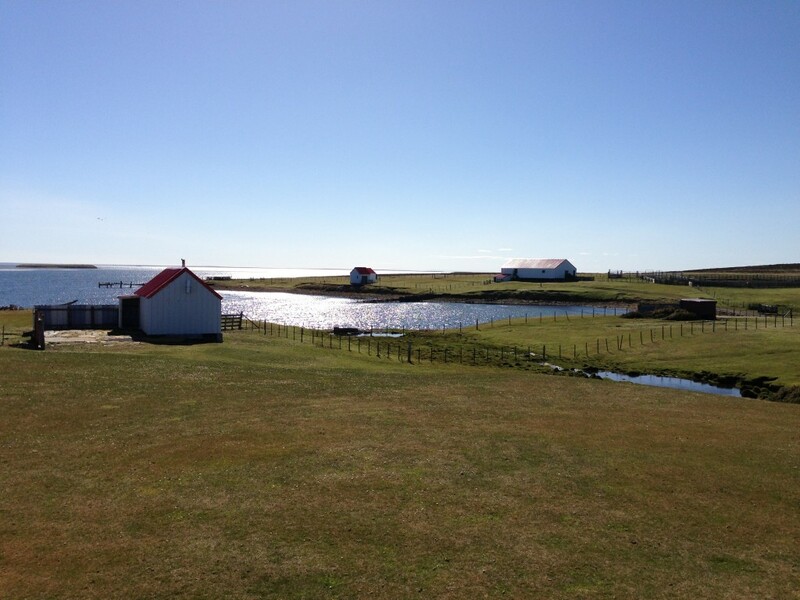 Enjoy the hospitality and a great little island! Great pictures & article, Lee! Without your enthusiasm, we here in the States wouldn’t even realize how great a place it would be to visit!! On my list! 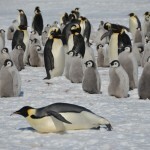 Very nice pictures of the penguins. Great shots, Lee. It’s been years since we were on the Falklands but I did manage to visit Bleaker about 2001-2002. I’m sure not much has changed but a lovely place. That’s the best selfie I have ever seen taken. 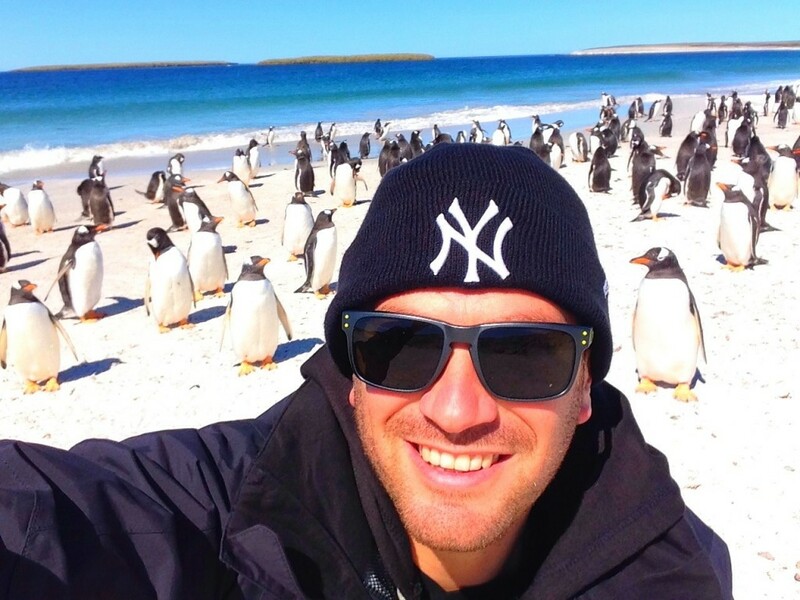 Normally, I dread selfies but in this case, with penguins, I love it! I saw all the penguin pictures you posted on Facebook while you were in the Falklands and I marveled at them and now seeing them again and reading about it makes me want to go to the Falklands immediately. Thanks for putting a place I never knew about on my radar, Lee. Seems like a nice enough place. 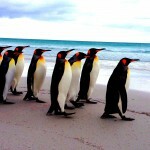 I don’t know if I’d go all the way to the Falklands to see it but those penguin pictures are undeniable fantastic. My brother served in the Falklands for a year. His photos didn’t make it look as nice as this. Great article. 12 miles is a long way to walk but seems like there’s not a whole lot else to do stuck on an island farm in the middle of nowhere! That airstrip is pretty wild. I’ve never seen or landed on an all grass strip before. How big is the plane? 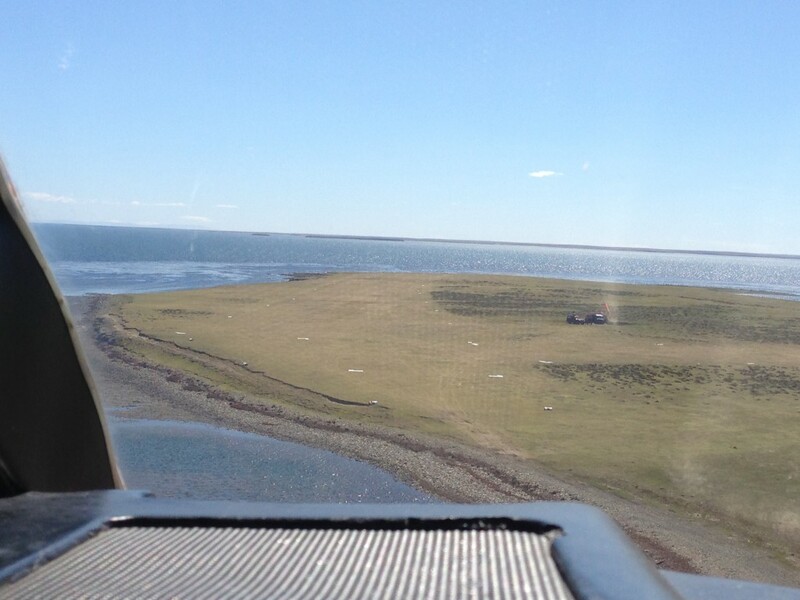 It’ll be a FIGAS (Falkland Islands Government Air Service) plane that does the inter-island flights. They run a fleet of Britten-Norman Islanders (they’re 35’8″ long with a 49′ wingspan, with room for up to nine passengers or whatever cargo needs moving relatively quickly). Gorgeous pics! I just found out about you and your blog a few days ago and am so impressed and inspired! Im a fellow travelholic( and New Yorker) and also a geography nut so your blog has been a real treat to read, especially love the posts about the harder to get to places like the Guineas and Angola. Keep it up! Thanks Andrew…hope to run into sometime! 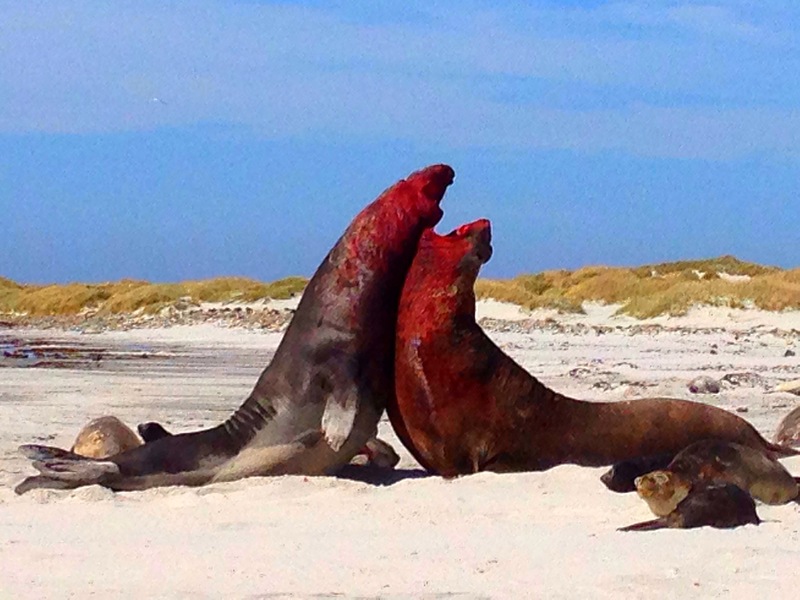 I had the pleasure of visiting the Falklands earlier this year in February. We spent a day on Bleaker and it was fantastic! I got some amazing photos and I’m always being asked if they are photoshopped as people cannot believe I got that close to the rockhoppers! I did see a sea lion sunning itself on the rocks too! 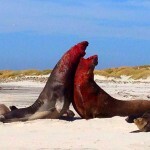 Did you get to berthas beach?? 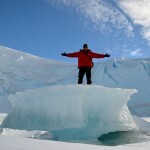 Full of gentoo’s and dolphins! !